This first, limited edition of the book is only available until the end of Sunday 25th October 2015. 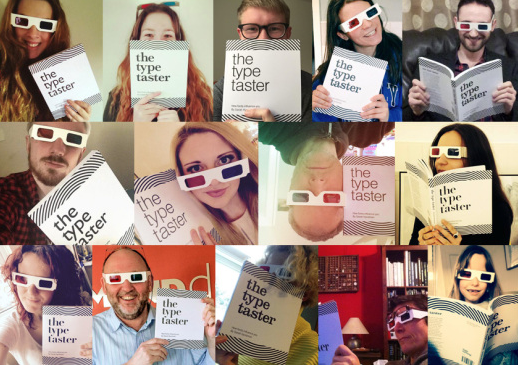 From 28th January 2016 The Type Taster will be published as Why Fonts Matter under the Virgin Books imprint of Penguin Random House. 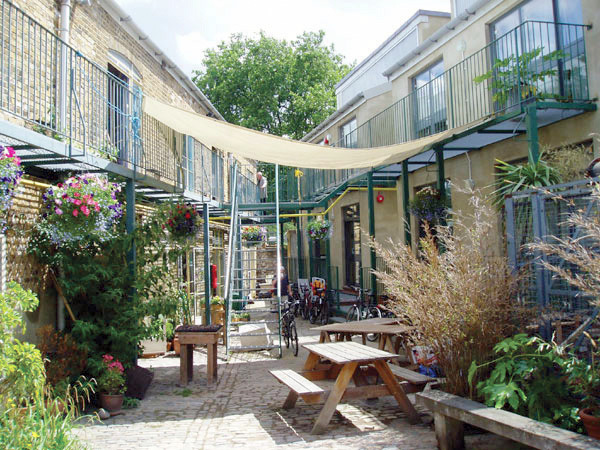 Are you a UK design student? 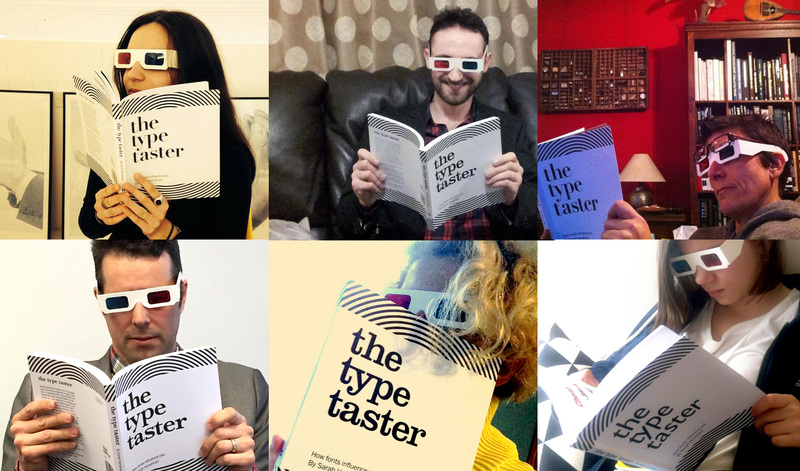 Prepare yourself for the new year with a discounted copy of The Type Taster and free postage (save £5). This is a book about typography from the point of view of the type consumer and takes you through the associations and science behind fonts influence you as a reader. 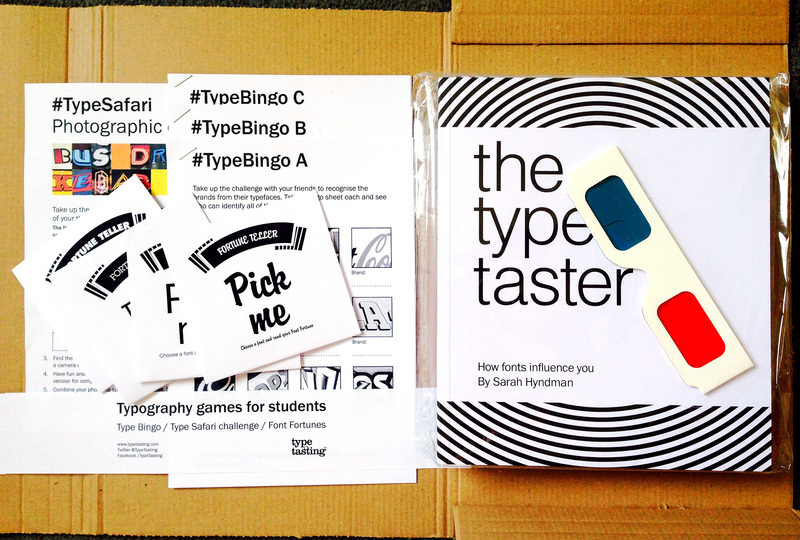 Student copies of the book will also include a selection of typography games (shown above). 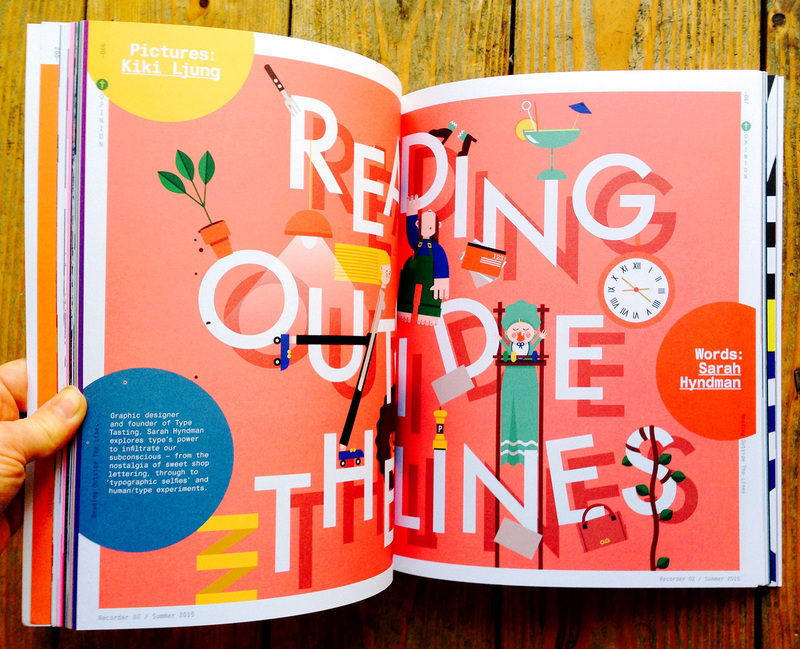 Delighted to have a piece in the latest Monotype Recorder illustrated by Kiki Ljung. 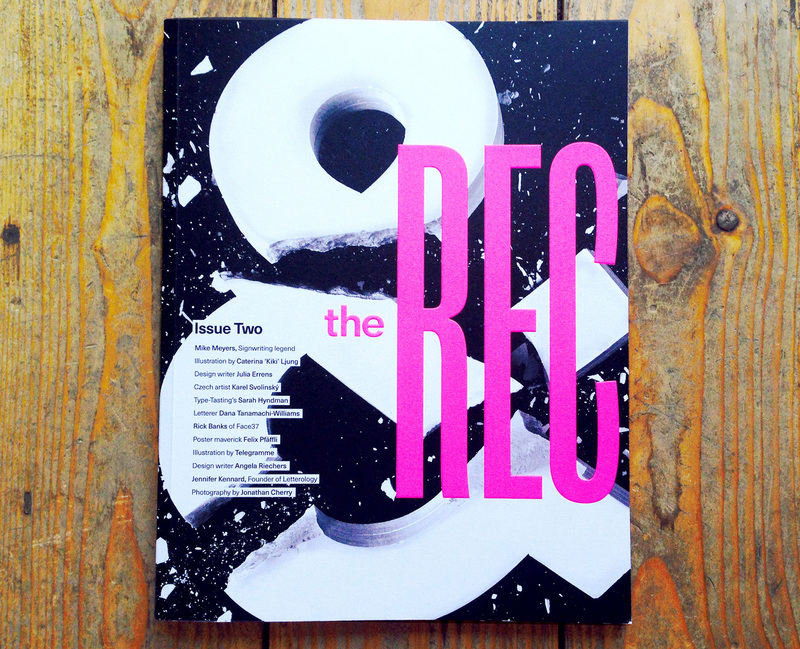 Buy your copy of this beautiful magazine directly from Monotype. 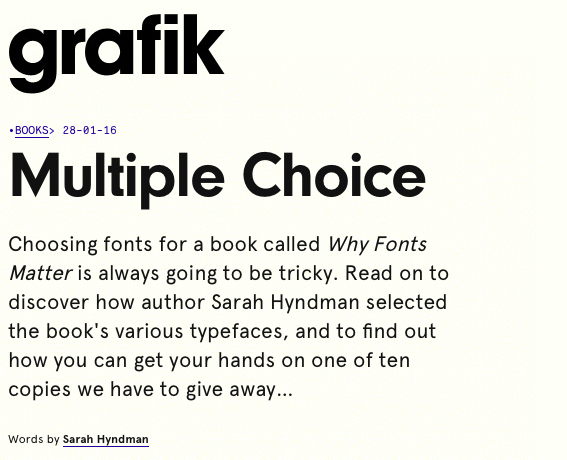 The Type Taster: How Fonts Influence You by Sarah Hyndman has become a self-publishing success story. It was published in February 2015 to great reviews and has now been picked up by Penguin/Random House who will publish the next edition early in 2016. 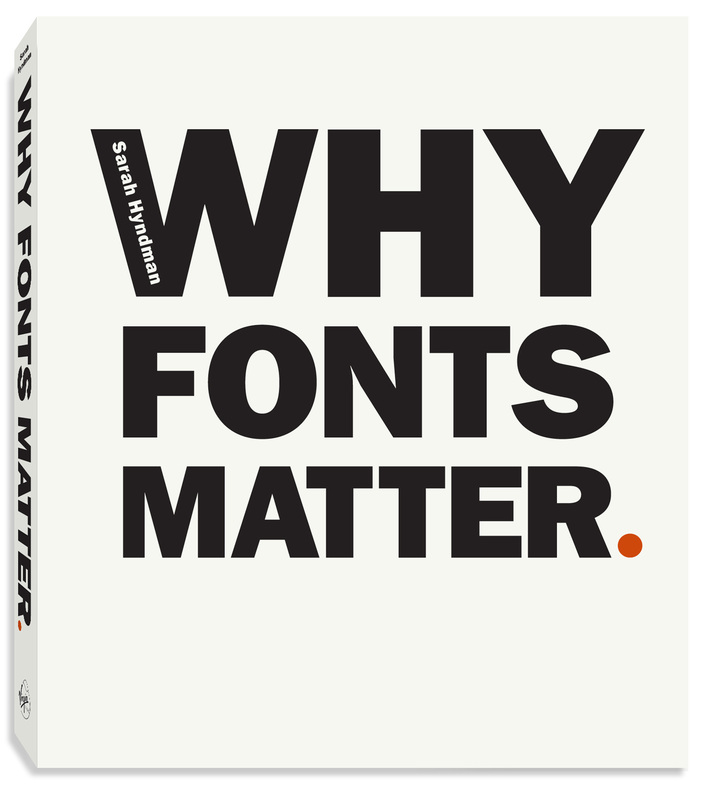 This is a book about why fonts matter written for type consumers—all of us—which brings the appreciation of fonts to a wider audience. 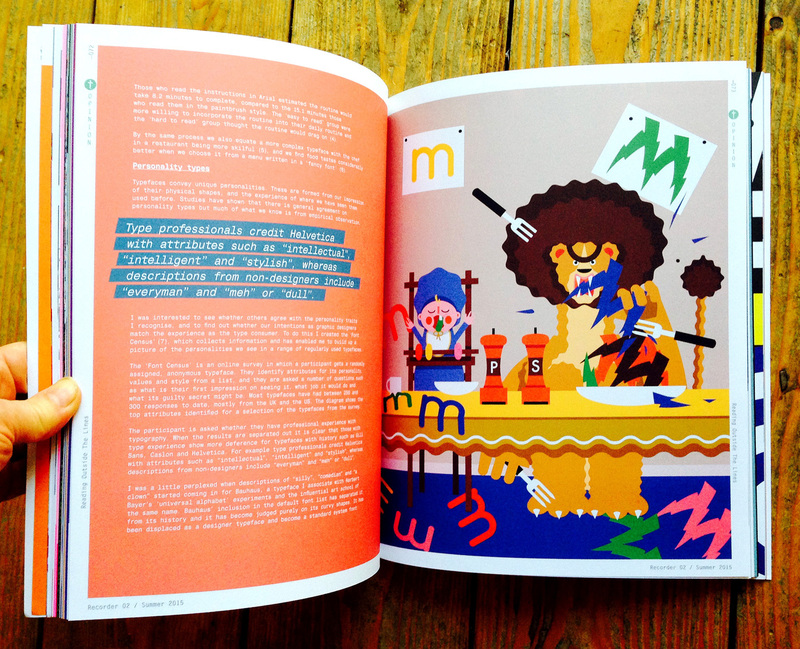 The self-published edition has exclusive features and is now only available for a limited time. It includes a pair of ‘font goggles’ (3D glasses), which you can use to reveal the ‘secret’ messages communicated by fonts. 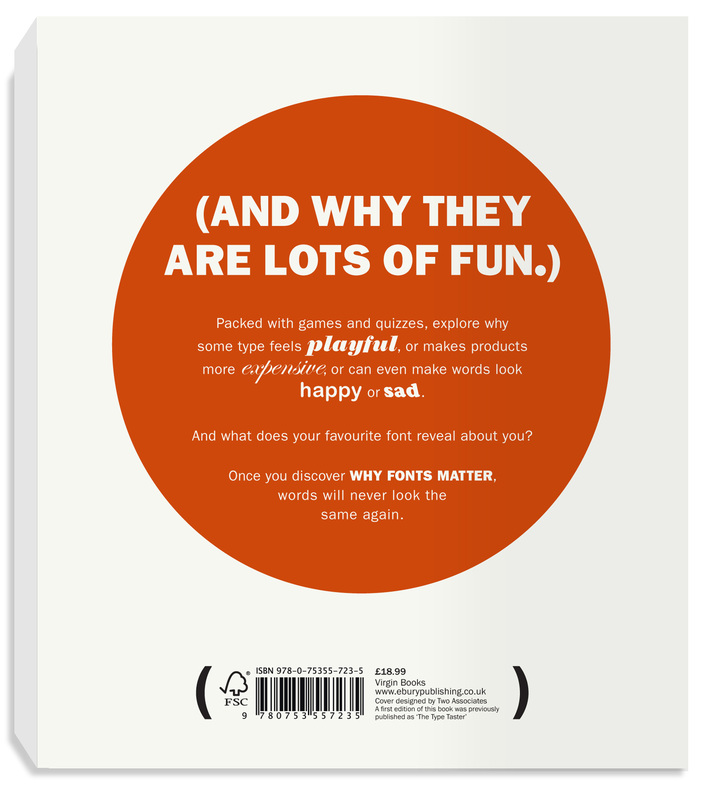 This limited edition comes in five cover options: each features a different font and you can read your personality analysis based on your cover choice. 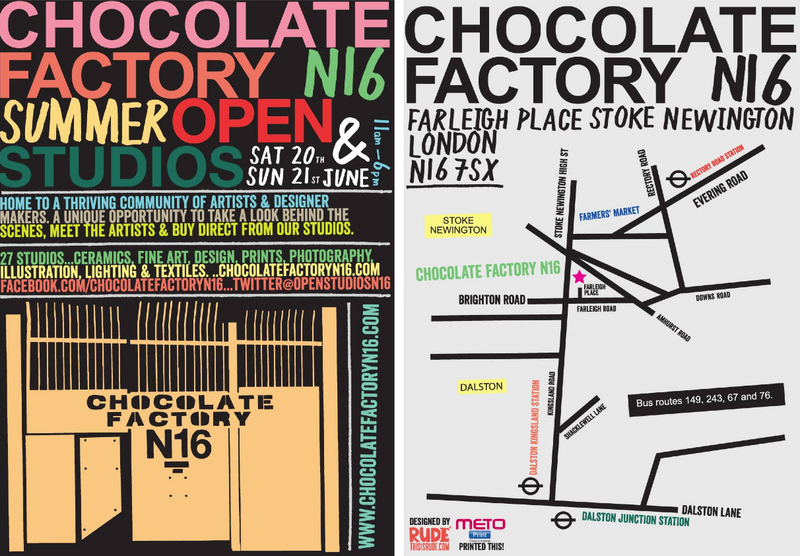 With only 400 of each cover the two most popular are selling out fast.